Up, up and away! 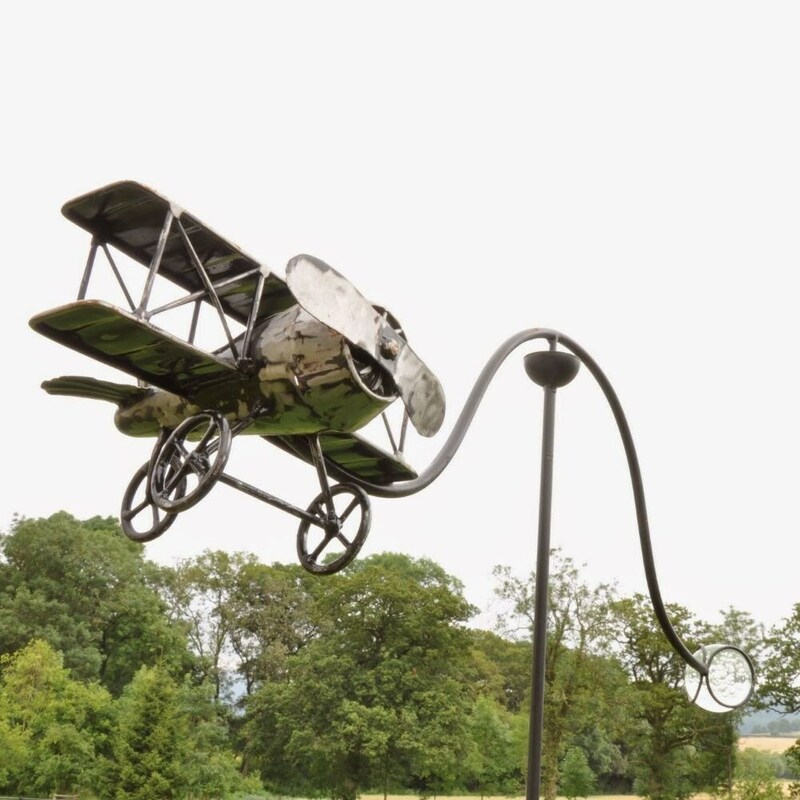 A perfect gift for any aviation enthusiast, this vintage-style garden stake features a classic biplane that will bob and spin when the wind whips up. Handcrafted from sturdy metal with a rustic weather-resistant finish, the plane is mounted on a movable arm balanced by a counterweight. Stake it in the border and enjoy hours of fun watching it fly - as well as the odd intrepid bird perching on top for a spot of wing walking.